I entered this class as an avid admirer of history, and I left the class with even more admiration for the subject, but most of all, an understanding of it. 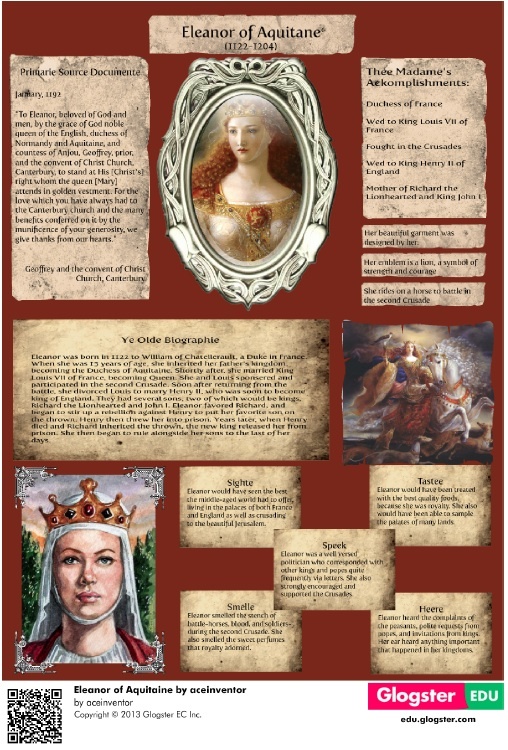 Historical Heads using Glogster - Students choose a historical figure to research and then create a Glogster which showcases key information about that figure. They summarize their research around the ‘senses’ of that figure - what they would have seen, heard, smelled, said, and touched during the time period in which they lived. Glogster allows students to include images, video and music files in the presentation of their research. This is a fun way for students to present research on historical figures of World History and share it with the class! *AP and Advanced Placement Program are registered trademarks of the College Entrance Examination Board which was not involved with the production of this website.